Rubric has chosen Virtual Practices to support its ambition to stay at the forefront of change in the legal sector. The firm was founded by director James Howell this year as one of the new breed of dynamic, forward-thinking law firms launched in the wake of the Legal Services Act. 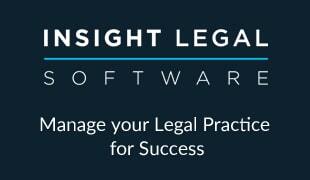 With five lawyers covering corporate, commercial, litigation, property and employment law, he saw the choice of the firm’s software system as being key to its goal of providing high-quality, cost-effective legal advice to SMEs. In February Rubric went live with Virtual Practices and is already seeing the value of the hosted legal software and outsourced cashiering service. “For too long, the industry has been entrenched in traditions that serve the firm and not the client. By freeing ourselves from unnecessary overheads and protocols, we have created a streamlined service where the bottom line is that the client pays less,” said James Howell. “Our firm has a refreshingly modern structure, whereby instead of the traditional ‘pyramid’ model with the partners at the top, our team is made up exclusively of senior, multi-specialist lawyers who work as self-employed consultants, pooling their collective resources as happens in a barristers’ chambers. “All of this anticipates how we see the legal profession looking in 10 or 20 years’ time, with the impact of IT and the growth of various internet legal providers, the advent of alternative business structures, and the way the wider market and the economy in general is changing the way clients source their legal services. Mr Howell said the firm’s use of Virtual Practices will grow in line with the firm’s expansion in the coming years. “Virtual Practices allows our lawyers to access the system wherever they are, including the case management and accounts system, making it easy for us to keep track of everything remotely. The team is always very responsive and any queries we may have are dealt with very quickly.